Can you graft Japanese maples? Yes you can. Grafting is the primary method of reproducing these beautiful and much admired trees. Read on to learn about how to graft a Japanese maple rootstock. Most Japanese maples sold commercially have been grafted. Grafting is a very old method of reproducing plants, especially those that are difficult to grow from seed and cuttings. Japanese maple falls into this category. Growing Japanese maple cultivars from seed is difficult, since the tree’s flowers openly pollinate, this means that they accept pollen from most other maples in the area. Given this, you can never be certain that the resulting seedling will have the same looks and qualities as the desired cultivar. Regarding growing Japanese maple from cuttings, many species simply cannot be grown this way. Other species are simply very difficult. For these reasons, the propagation method of choice for Japanese maples is grafting. The art of Japanese maple grafting involves melding – growing together – two closely related species. The roots and trunk of one type of Japanese maple are placed together with the branches and foliage of another to form one tree. Both the rootstock (the lower section) and the scion (upper part) are carefully chosen. For the rootstock, pick a vigorous species of Japanese maple that rapidly forms a strong root system. For the scion, use a cutting from the cultivar you wish to propagate. The two are carefully joined and allowed to grow together. Once the two have grown together, they form one tree. After that, care of grafted Japanese maples is very similar to care of seedling Japanese maples. 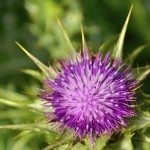 The procedure for joining the rootstock and the scion is not difficult, but many factors can influence the success of the venture. These include season, temperature and timing. Experts recommend grafting a Japanese maple rootstock in winter, with January and February being the preferred months. The rootstock is usually a seedling that you have grown for a few years before the grafting. The trunk must have a diameter of at least 1/8 inch. 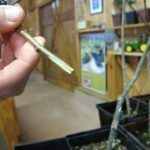 Move the dormant rootstock plant into the greenhouse a month before the grafting to bring it out of dormancy. The day of the grafting, take a cutting of about the same trunk diameter from the cultivar plant you wish to reproduce. Many different types of cuts can be used for Japanese maple grafting. One simple one is termed the splice graft. To make the splice graft, cut off the top of the rootstock trunk in a long diagonal, about an inch long. Make the same cut at the base of the scion. Fit the two together and wrap the union with a rubber grafting strip. Secure the graft with grafting wax. Give the plant just a little water at infrequent intervals until the grafted sections grow together. 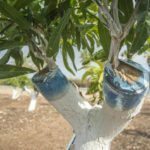 Too much water or too frequent irrigation can drown the rootstock. After the graft heals, remove the grafting strip. From that time on, care of grafted Japanese maples is very much like that care of plants grown from seeds. 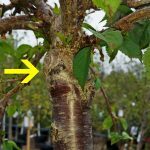 Prune off any branches that appear below the graft.